We were in the 1st Arrondissement of Paris when we came across this plaque called the An 2000 - La Meridienne Verte marking a point on the Paris Meridian line. It was back in 1666 that King Louis XIV of France authorised the construction of the Observatoire de Paris to measure longitude and it was the French astronomer Jean Picard who measured the length of degrees of latitude, and this was used by French cartographers for more than 200 years, but in the 1800s this was more precisely calculated by the astronomer Francois Arago. 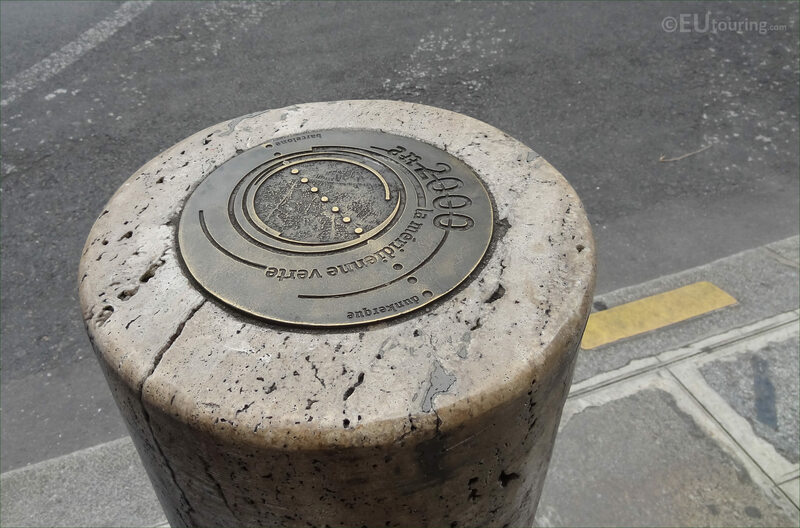 However, the UK also had their own Meridian Line referred to as the Greenwich Meridian, and in 1884 at an international conference held in America virtually all countries present bar France and Brazil decided that the Greenwich Meridian would be adopted throughout the world, but France still used the Paris Meridian as a rival until 1911. 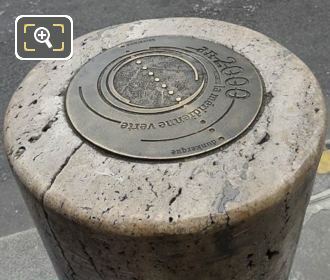 However, in the 1990s the City of Paris decided to recognise Francois Arago and laid medallions out along the Paris Meridian Line, but another project was set up for the year 2000 called the Green Meridian with bronze markers put in place along the entire length of the meridian arc in France. 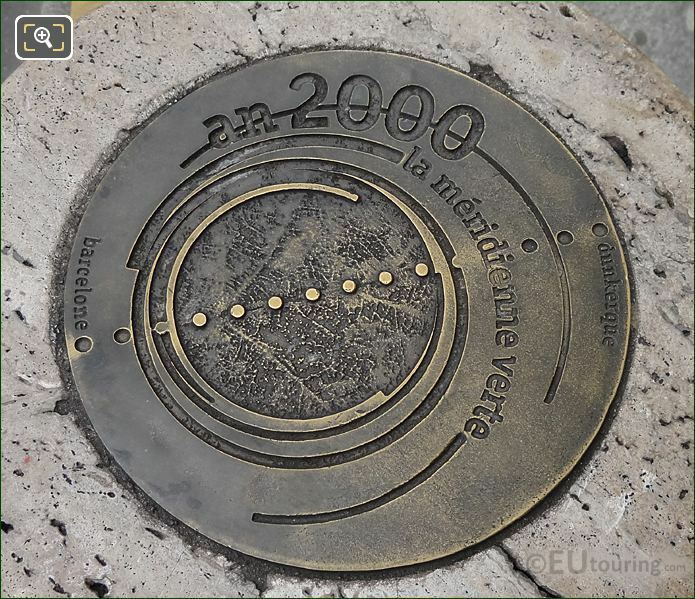 So, in this HD photo you can see one of these medallion markers called An 2000 - La Meridienne Verte, which have replaced some of the Arago markers that went missing, with these being more prominent and noticeable and have a special meaning with the aim of establishing a tree along the entire length of the line. And we took these photographs of one of the Green Meridian medallions, which is what La Meridienne Verte stands for in English, while we were in the 1st Arrondissement of Paris at the Place du Palais Royal, which is beside the Rue de Rivoli and overlooks one of the outer facades of the Musee du Louvre.